So where do we begin? Most like to take a look at the latest Chrysler, Dodge, Jeep and RAM models to hit our showroom, including the 2017 RAM 1500, RAM 2500, Jeep Grand Cherokee, Chrysler 200 and Dodge Challenger. Of course, whether you choose new or used, Auburn Chrysler Dodge Jeep Ram staffs a team of expert auto finance specialists who can help you find the right loan or lease for your needs. From start to finish, we’re by your side to make the buying process as easy as possible. And after you’ve purchased your next vehicle, Auburn Chrysler Dodge Jeep Ram doesn’t go anywhere. Instead, we continue to support you with an onsite service department, which operates using only certified Chrysler, Dodge, Jeep, RAM parts – a combination that’s sure to result in many worry-free miles in your vehicle’s future. 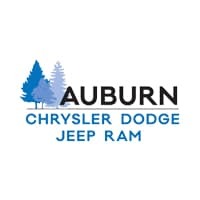 Whatever your automotive needs may be, Auburn Chrysler Dodge Jeep Ram is here to serve you. Located at 1901 Grass Valley Highway in Auburn, California, we’re a quick drive away from the surrounding Roseville CA, Folsom CA, Rocklin CA and Citrus Heights CA areas. Come see what we can do for you today.